It’s been a while since we have appeared on CPF. We truly appreciate your comments and feedback you give, because it helps us to improve our service and products. We would like to ask you, what kind of activity would be interesting for you? What topics should we discuss? P.S. EDC – is the first part of the promocode for -35% on EDC and headlamps.Promotion lasts till January, 27. To get the second part just follow the link: https://www.facebook.com/ArmytekOpto...type=3&theater . Last edited by ArmyTek; 01-23-2019 at 06:46 AM. 1. Fix your shipping. I live an hour from your head office in Richmond Hill and it would cost me $30 USD shipping plus tax and import fees to order a single Wizard Pro. It's absurd. 2. Nichia Wizard. Enough said. 3. Fix the optics in the Prime/Partner line-up. Our technical department is testing this Nichia. We will keep you informed on the latest news. We are trying to optimize all the processes. Concerning service, is there anything I can help you with or provide you with assistance? The tints on the XHP-35 lights I have tested both CW and NW are really good. The flashing illuminated switch actually did indicate with the Partner C2 the unprotected Sanyo red 18650 was running low with plenty of time to make it back to camp. However it would be nice (unless I don't know) if there was a way to turn the flashing light off. The TK20. Yes it still rocks. Low Battery Indication. If the brightness is <25% from the nominal value, the LED flashes 2 times ONCE (after 30sec from switchingon). If you are not sure if it flashed or not switch the flashlight off and on: in case the battery is low flashes will repeat. Light outputdecreases to Firefly mode at critical level. What is the difference between Prime and Partner models? Prime is an EDC flashlight. It has a side button, flat bezel as well as flat tailcap for vertical stand; Pro models have magnet in tailcaps for more comfortable using. Partner is a tactical flashlight, but it can be used as an EDC light as well. It is compatible with remote switches and weapon mount, has strike bezel and tactical button; Pro models have both tactical and side button. We would like to ask you, what kind of activity would be interesting for you? A compact EDC flashlight or Wizard headlight powered by a 21700 cell would be interesting. Is only a standart switch with charging or did you change the UI for the new electronic switch? Thank you for your feedback. Our technical department is currently working on these lights. As soon as we have any info or video materials we will definetely share with you. Thank you for a nice idea. It was forwarded to our technical department! Last edited by ArmyTek; 01-31-2019 at 12:40 AM.  All Armytek flashlights have smooth reflector except for Viking Pro XHP50 - this one has orange peel reflector. Partner for cold weather over Prime IMHO. No gloves not even mittens seems to overly interfere with the tail clicky. We hope that you are in a good mood and February brings you joy and lovely weather. For every Pro version flashlight in the order you get Partner C2 Pro warm for free. Promotion lasts till February, 10. Have a nice time purchasing! *If your order contains several Pro version flashlights our manager will add Partner C2 Pro lights directly to your order. P.S. thanks for the photo to our subscriber. Last edited by ArmyTek; 02-05-2019 at 08:34 AM. Viking Pro: White and Warm light comparison. New week – new promotion for our fans. While ordering any Armytek flashlight use promocode “FebruaryGift” which adds Bike Mount+Handy C1 Pro for FREE to the order. Promotion valid till February, 17. *Please keep in mind that promotions and promocodes can not be applied together. For any help or assistance feel free to contact us. P.S. Thanks for the photo to our subscriber! What batteries can you charge with Armytek Uni C2? Uni C2 charger supports IMR, Li-Ion 4.2V, Li-Ion 4.35V, Ni-MH, Ni-Cd and Li-FePO4 with diameter 10..32mm and lengths 30..70mm, for example : AA, AAA, AAAA, C, D, 10440, 14500, 16340, 18350, 18650, 18700, 26650, 32650. Last edited by ArmyTek; 03-07-2019 at 01:08 AM. Armytek team is starting promotion on every order over 100$ you get Elf C1 micro USB white for FREE. Promotion lasts till March, 17. Have a nice time shopping! *please keep in mind that this promotion can not be combined with other promocodes. **thanks our reviewer for such awesome photo. New week – new promotion. While ordering any Armytek flashlight use promocode “March” for -25% and get FREE shipping by DHL. Availiable for orders over 100 $. www.armytek.com and www.armytek.ca . Promotion valid till March, 24. *Please keep in mind that promotions and promocodes can not be applied together. For any help or assistance feel free to contact us. Last edited by ArmyTek; 03-18-2019 at 06:54 AM. Why not make a special promotion for friends: use promocode “GoodFriend” and get FREE shipping by DHL + Elf C1 Micro USB warm. 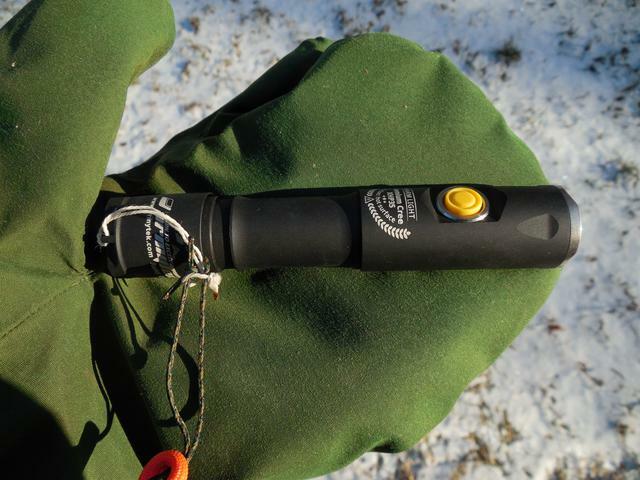 Availiable at www.armytek.com and www.armytek.ca . Promotion valid till April, 14. Last edited by ArmyTek; 04-03-2019 at 01:10 AM. Use promocode “AprilFlash” and get FREE shipping by DHL + Prime C1 Micro USB warm. Promotion valid till April, 21. We were waiting for this moment, and it finally happened! Armytek makes shopping convenient and easy, so we opened option “Delivery from USA” for customers from US. Delivery was never so fast and cheap! You will receive your order in 2-3 days for $8 only! Promocode “Fast” gives 20% off on following items for orders with delivery to USA. Promotion valid till Aprill, 30. *Thanks to our client for the photo. Last edited by ArmyTek; 04-19-2019 at 06:49 AM.